Hi everyone! 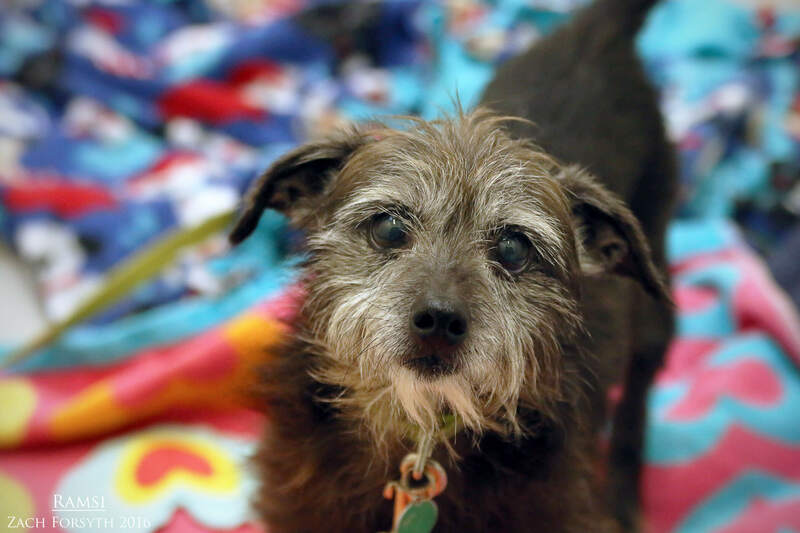 My name is Ramsi and I am a scruffy and adorable 8 years young schnoodle weighing in around 9 lbs. How did I get my name you ask? Well it’s a funny story really. You see, I never make a peep when I am hanging in the Pixie office or in my foster’s home. But when we get in the car, I just have to tell you how to drive. Just like Gordon Ramsay yelling in the kitchen! Ha! So maybe no long road trips for me unless you enjoy my critiques. But I am such a wonderful and lovable guy. I enjoy everyone I meet including kids over the age of 8, dogs, and those kitties too! Casually, I stroll around Pixie for my daily walks with volunteers and am just so happy to be out and about with my friends. But you can tell I have a playful side and would love to zoom around the yard playing fetch. I may be older, but I still can be active and zippy! I am just a sweet and fun guy ready to bond with that special someone. Will it be you? Fill out an application today, so we can meet! I come to you vaccinated, neutered, and micro-chipped with an adoption fee of $300.